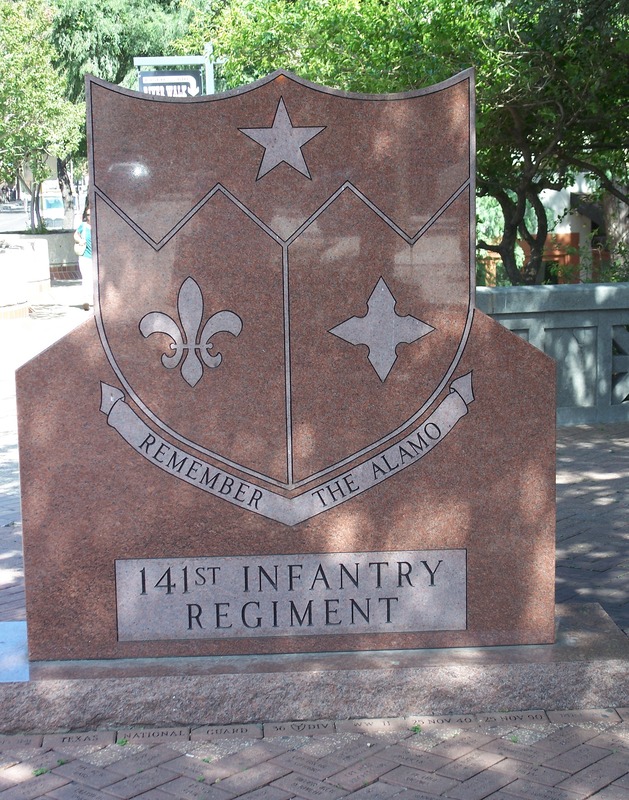 I think I mentioned some time ago that I lived in Texas for a bit and that, when I was there, I cooked mostly with a little 1.5 litre (1 Quart) slow cooker. Many wonderful things emerged from that device (and were eaten with gusto), but one that I still continue to make is Mac and Cheese. Now, during my residency of San Antonio, I discovered that Americans have a plethora of magazines devoted to slow cookers and slow cooking – it was quite startling just how many there were when I’ve yet to see one such thing here in Oz. No doubt we will soon catch up given that Diabetes specific magazines are appearing here now too and they had oodles of those. Anyway, I bought one or two and was off. 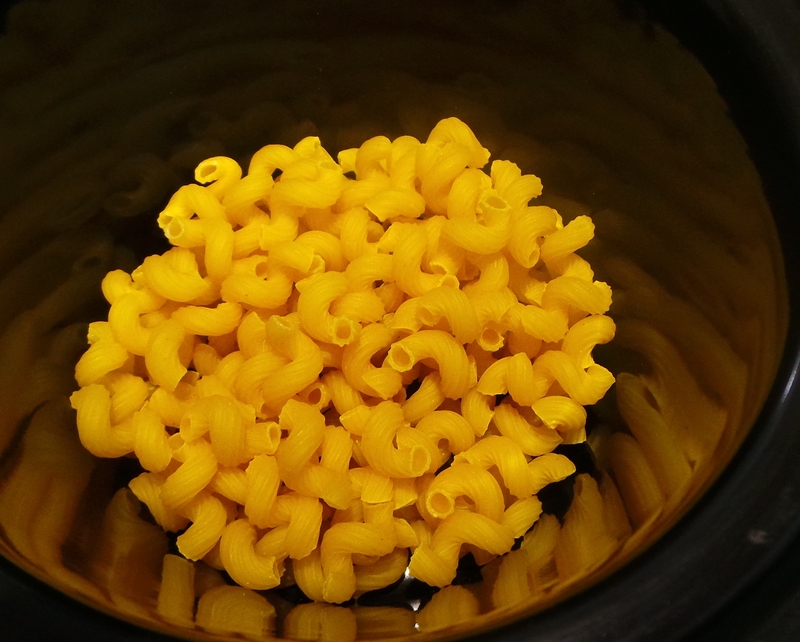 It was in one of them that I discovered that Macaroni and Cheese could be prepared all-in-one-pot and cooked slow. Unfortunately, I didn’t bring my copies of the magazines back with me (excess luggage dontchaknow) so I can’t attribute this with an original source. However, I have fiddled with it and made it often enough now that I can honestly say that I don’t think it actually resembles the original all that closely. 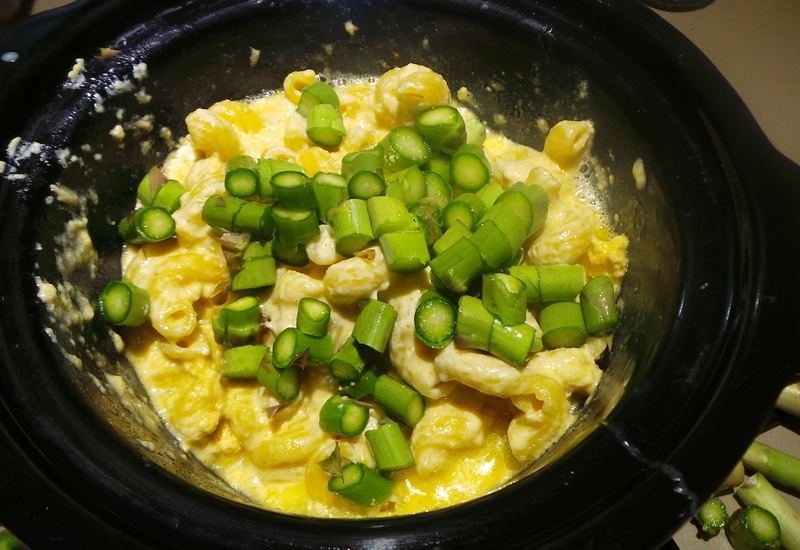 So, here is my low fuss version of Mac and Cheese à la Slow Cooker. 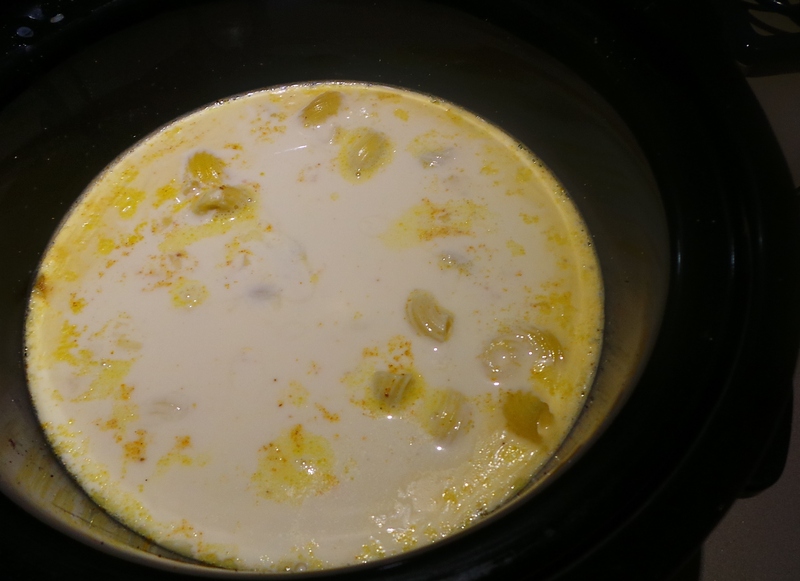 The recipe I will give you to print at the bottom of the post will contain specific instructions for making it in a 5 litre slow cooker and will make enough to serve a very hungry family. Probably with leftovers. The photographs, however, will be of my current (Australian-wired) 1.5 litre slow cooker being used to make a smaller amount. The process is the same, as are the results, but the two of us do NOT need several weeks worth of leftovers! Also, what you see will not have been measured precisely. I tend to do this using the patent-pending Sharon’s Handfuls method of measuring, other wise known as a handful of this and a handful of that. To the bottom of your crock add your uncooked pasta. This may be elbows, it may be spirals or it may even be tiny tubes – think macaroni rather than spaghetti and you’ll be fine. I would limit your choice of cheese to one strong-tasting one among other milder flavours or you may find yourself with something that smells too confusing to eat. Plain old cheddar works fine, so don’t panic if that’s all you’ve got. The recipe calls for grated and cubed, I had pre-shredded cheeses in my fridge so that’s what I used – along with a good twist or two of black pepper and a sprinkling of paprika. Add your cheese and seasonings. Now, cover your mixture with milk. This may be cow’s milk, goat’s milk, soy milk, almond milk – get my drift? Pasta cooks in liquid and it doesn’t much care what that liquid is. 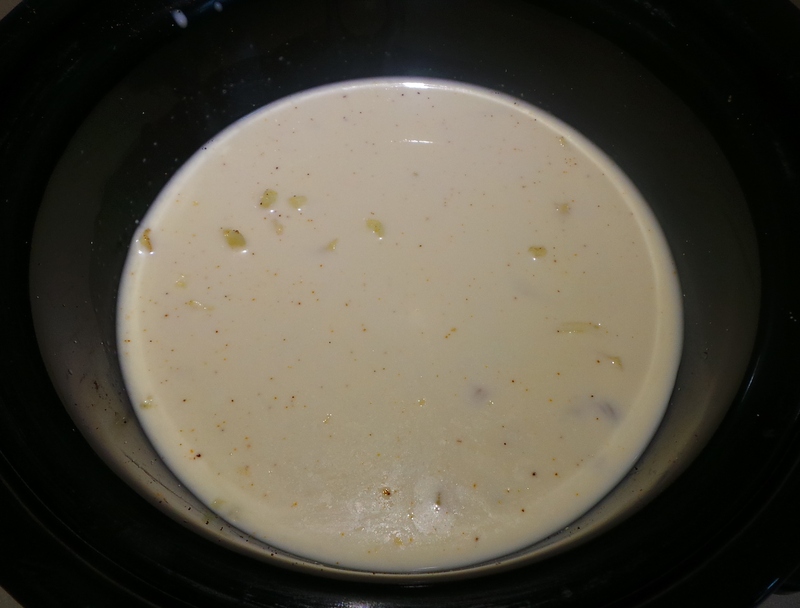 In my baby slow cooker I tend to use a tin of evaporated milk and then add enough of whatever milk is in the refrigerator to cover the pasta. That’s the important bit. You want your pasta to be completely submerged. Now cover it and cook it on low for 2 to 3 hours. It doesn’t take that long in a tiny slow cooker, so keep an eye on it. After 30 mins or so, you’ll notice your cheeses melting. This is good and eminently desirable. Keep up the good work. If you feel the need to stir, then do so. This dish is quite forgiving and will let you remove the lid once or twice without slowing things down immensely. When your pasta is cooked to your liking, serve it up. I, however, like to fiddle. I also am very much of the meal-in-a-bowl school of catering. So I always add stuff to my mac and cheese. If you have them, frozen peas can add a change of texture as well as a burst of both flavour and colour – as can frozen corn. The heat of the dish will thaw them so there is no need to cook separately first. Use whatever vegetables you have to hand. Asparagus has just come into season here, so I cut two stalks up and stirred them through my pot. Asparagus is best cooked lightly and here it steamed in the heat of the pasta. A stalk or two of asparagus adds a touch of colour and a burst of flavour. I also had two lonely continental frankfurters sitting in my fridge and – as they, too, just need reheating and not cooking – sliced them up and popped them in. I prefer to use fewer of these more expensive frankfurters, instead of more of a cheaper hot dog, as I like the taste and texture better. 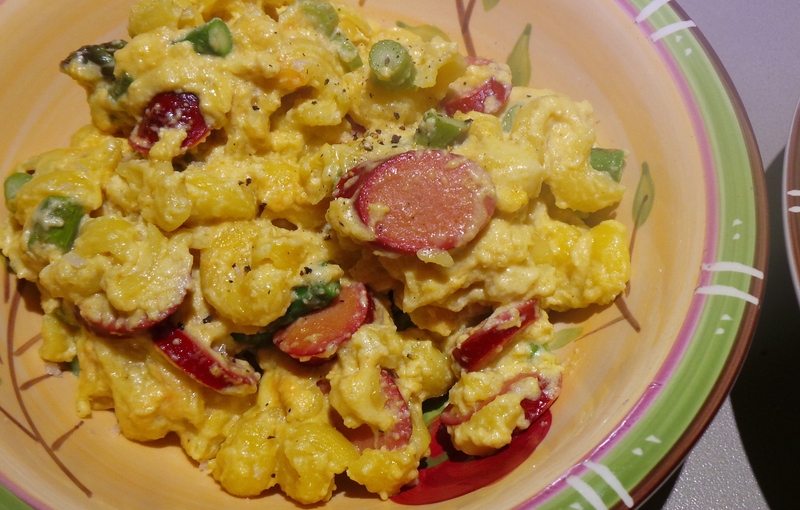 The flavour is head and shoulders above that of a hot dog and the filling doesn’t have that ‘mushy’ texture you often get in hot dogs. It’s one of those cases where it is absolutely worth spending more to buy less – but you’ll be so much more satisfied with the finished dish. Feel free to use whatever you have to hand to add flavour and nutrition to your dish. For a vegetarian option, try adding half a tin of drained chickpeas. Anyway, mixed through and plated up, our meal looked like this, and it was glorious. Given that it was put together at the last minute on what had turned into a very cold and gloomy day, it was ‘perfick’. 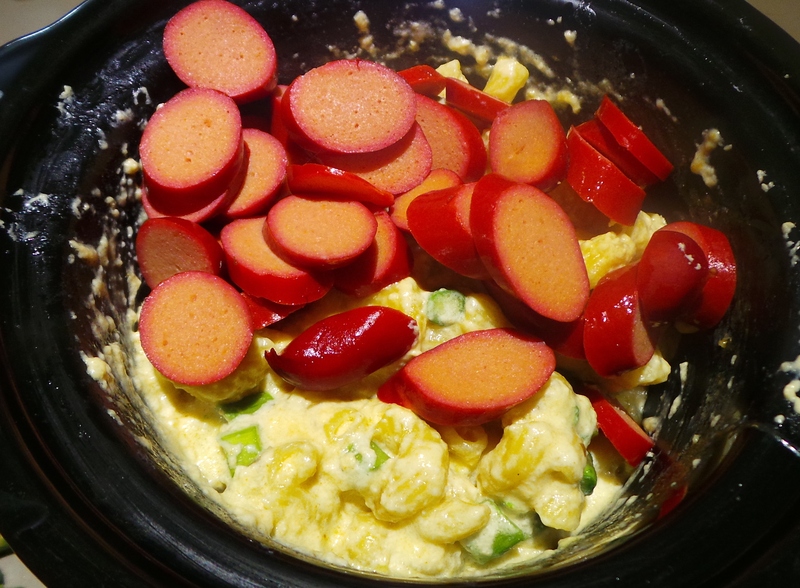 Slow cooker mac and cheese with extra added flavour and colour. This is very filling. Trust me. Serving sizes do not need to be large. Should there be any left in your slow cooker after plating your meals, then remove it immediately into a storage container for refrigeration. Then fill your crock with hot water and a squirt of dishwashing liquid before you sit down to eat. The slight delay will save you a world of frustration. Also, cheese can be difficult to clean off pots. By soaking it you will be getting a head start on the washing up and making the process a lot easier when you get to it. 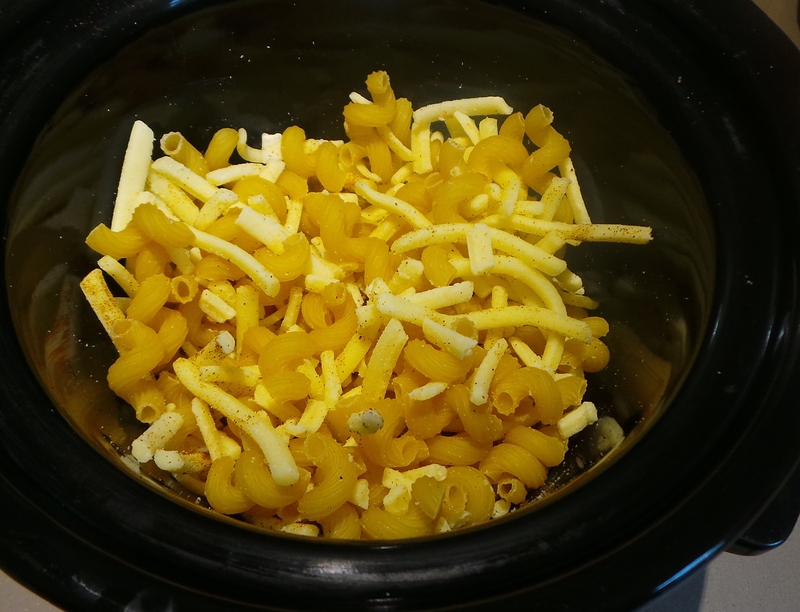 In a 5 litre slow cooker, combine macaroni, cheeses and seasoning. Put the lid on the pot and cook on LOW for 2 to 3 hours, stirring after 20 minutes.